Description: Alex Fisher is a singer/songwriter from Sydenham, Ontario who just released his debut CD titled "For Us". 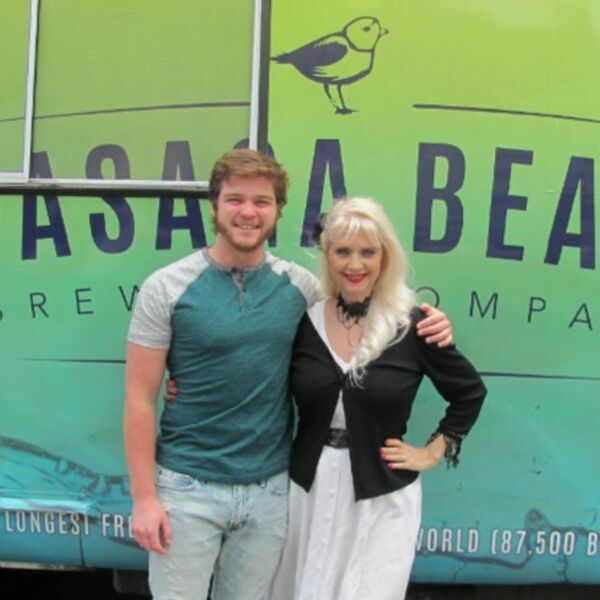 Dianna had the pleasure of meeting him at the Wasaga Beach Brewing Company's “First Pour” at the historic Marlwood Golf & Country Club in Wasaga Beach. Alex also attended the 5th Annual WFF Red Carpet Gala Awards in April with Bobby Curtola and Manager, Sandy Graham from Toronto's Entertainment Music Group. Dianna met up with Alex again at the Beach BOOSTER “The Beach is Back” event at Toronto's Hard Rock Café on May 11th and had an opportunity to chat with him. In this entertaining interview, Alex shares his passion for music as well as introducing two of his songs from his latest CD. BEACH CORNER from Beach BOOSTER Radio ON DEMAND, available anytime, anywhere on any device from our NEW Podcast Page! Alex Fisher is a singer/songwriter from Sydenham, Ontario who just released his debut CD titled "For Us". Dianna had the pleasure of meeting him at the Wasaga Beach Brewing Company's “First Pour” at the historic Marlwood Golf & Country Club in Wasaga Beach. Alex also attended the 5th Annual WFF Red Carpet Gala Awards in April with Bobby Curtola and Manager, Sandy Graham from Toronto's Entertainment Music Group. Dianna met up with Alex again at the Beach BOOSTER “The Beach is Back” event at Toronto's Hard Rock Café on May 11th and had an opportunity to chat with him. In this entertaining interview, Alex shares his passion for music as well as introducing two of his songs from his latest CD. BEACH CORNER from Beach BOOSTER Radio ON DEMAND, available anytime, anywhere on any device from our NEW Podcast Page!